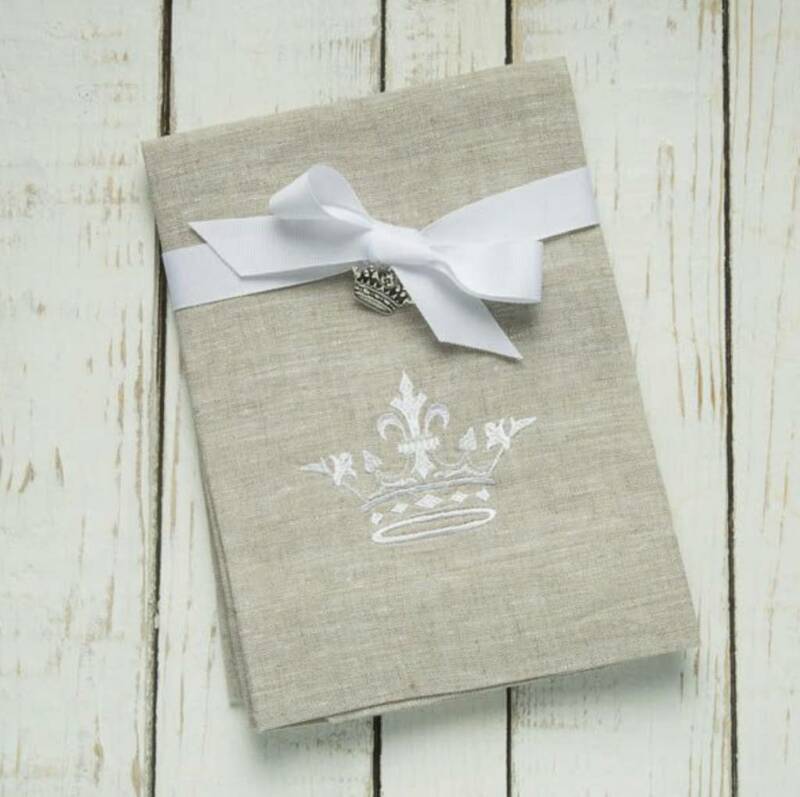 Crown Linen's luxurious linen fingertip napkin set of two from Europe are a perfect mix of elegance and beauty. Combine with a runner or table topper to finish off the look. 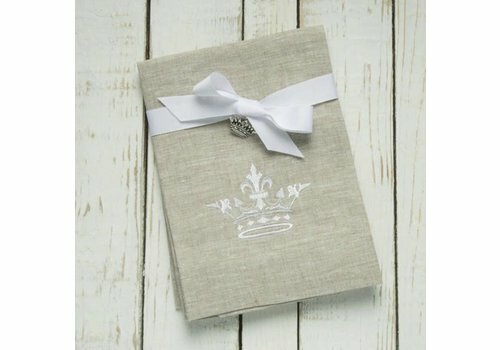 Embroidered "Crown" in the center so it can be used as a fingertip towel also.